Following the article on the installation of Jelly Bean on the Galaxy S2, here is the method to root it again. This method is only planned for the Galaxy S2 GT-i9100 with the pre-release Jelly Bean (see link above). 1: Download the Philz Kernel , with ClockWorkMod 6. 3. Restart in recovery mode: turn off your Galaxy S2, then press Power + Volume Up + Home until the S2 vibrates. As usual, make sure you have the SuperUser application. For the anecdote, I root my Galaxy S2 under Jelly Bean 4.1.2 to be able to restore a backup of Cyanogen 9 and then install Cyanogen 10, it worked like a charm! download Towelroot apk (tr.apk) file directly to your device using google chrome or any other browser. While doing so, you might get a warning message stating that this file might harm your device. Just ignore the warning and download the APK file. click on it to install towelroot app in your device. you will again get a warning message stating that the app is dangerous because it contains code that will bypass Android security protections. Just ignore it and click on “Install Anyway” to install the app in your device. Once done, open up the towelroot app in your Samsung Galaxy S2 smartphone and click on “make it ra1n” to launch the rooting procedure. Once the rooting process gets finished, your smartphone will reboot automatically. That’s it. 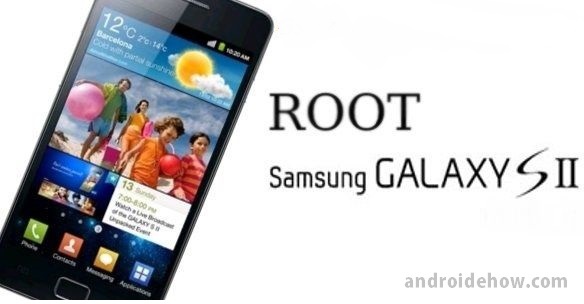 Now you have successfully finished rooting Samsung Galaxy S2 smartphone using Towelroot one-click rooting application. For confirmation, download Root checker from Google Play store, install it in your device and confirm root access in your smartphone.